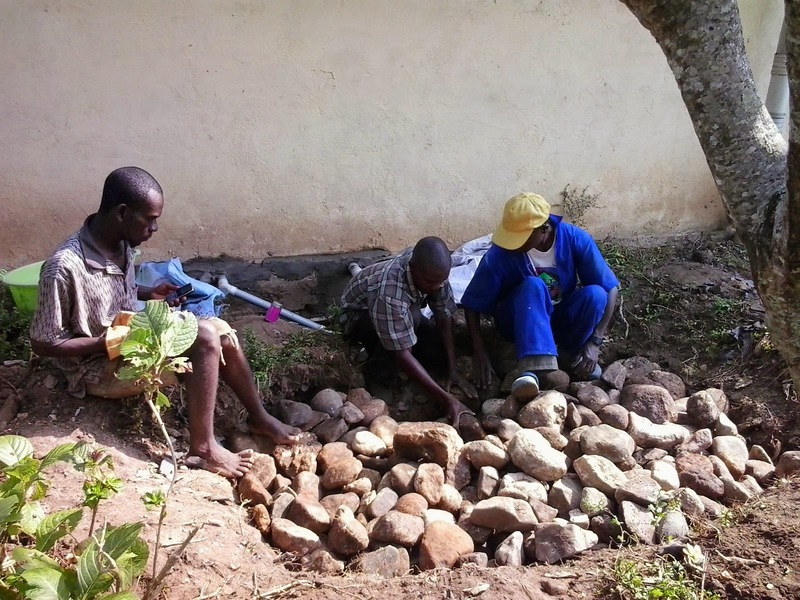 One of our primary tasks getting resettled into Bundibugyo is to rehabilitate our future home on the mission. It's a home that's not been lived in by a family for a long time and most recently was used as a school for the children on the mission. When we arrived, there was no power, no running water and the walls were painted the deep purple and bright teal of a fun elementary school. BECS (The power coop) came and installed power by hand. It took three and a half weeks from payment to working power. I had to do a little tree trimming for the power lines. Working with some guys to rework the shower soak pit outside the house. 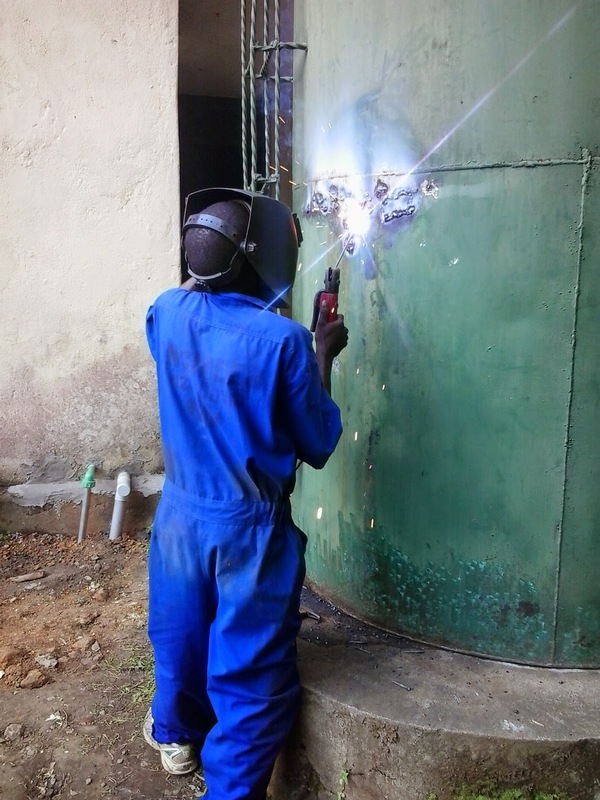 My friend Kiiza doing his best to repair a REALLY OLD metal water tank. The verdict is still out on whether or not we will be able to repair it. 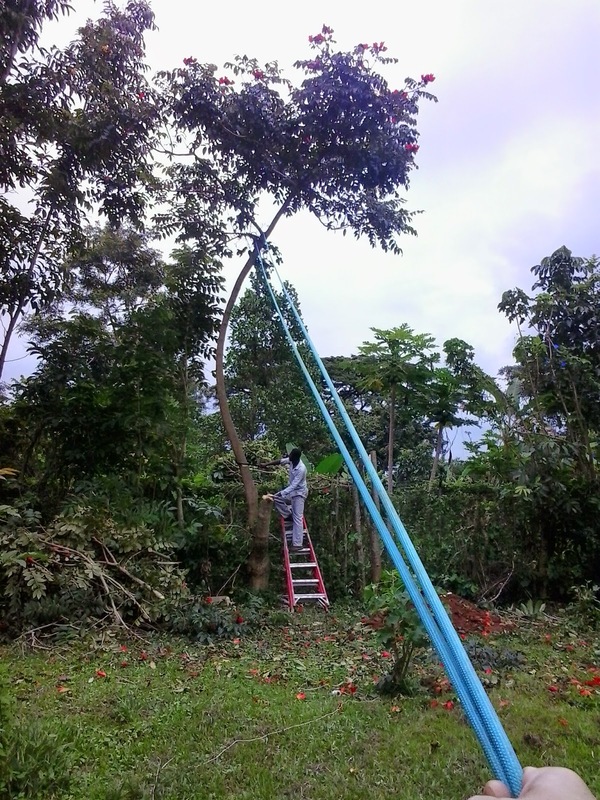 Both Anna and I are really eager to be in our house so that we can spend more time in in the community learning language and preparing for transitioning into working on the community water systems (Josh) and working with local, marginalized women (Anna). 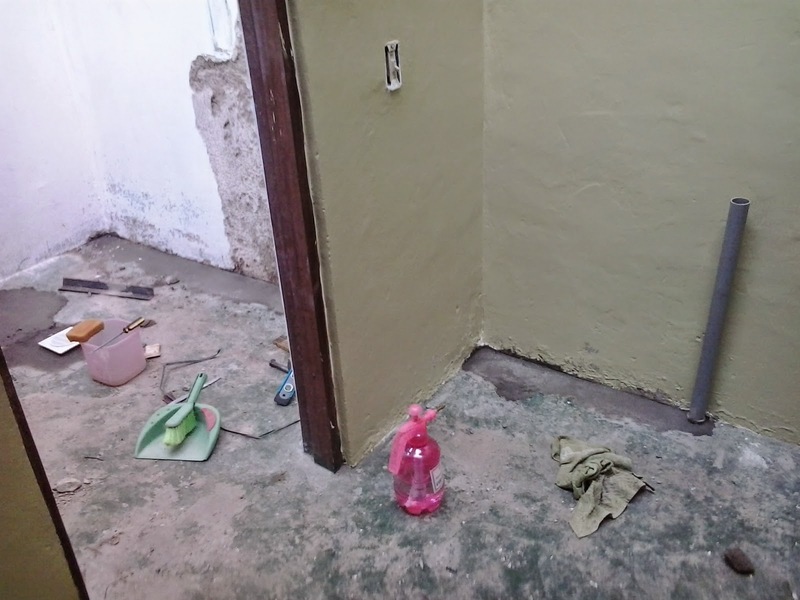 We have completed about 60-70% of the work that needs to be done before we can move in, so please keep praying for endurance for long and tiring days and for often not having the right tools to complete the job. Keep the photos coming so we can all cheer you on in your HUGE DIY REMODEL!